Urgent Care vs. Emergency Room? How to Know Where to Go. PHOENIX, ARIZ. (May 3, 2018) – While urgent care clinics and emergency rooms provide a number of the same services, there are substantial differences that can greatly impact uninformed consumers. Making the wrong choice when illness or injury strikes can cost thousands of dollars and hours of time—without the benefit of a better quality of care. In recognition of May being National Urgent Care Awareness Month, FastMed Urgent Care created a new infographic, “Urgent Care vs. the ER: What You Need to Know” to help patients determine where to go the next time immediate medical treatment is needed. Annually, patients spend $4.4 billion on unnecessary ER visits when treatment could have been provided at an urgent care clinic. Even for insured patients, the average co-pay for an ER visit can be as much as four times more expensive than an urgent care co-pay. 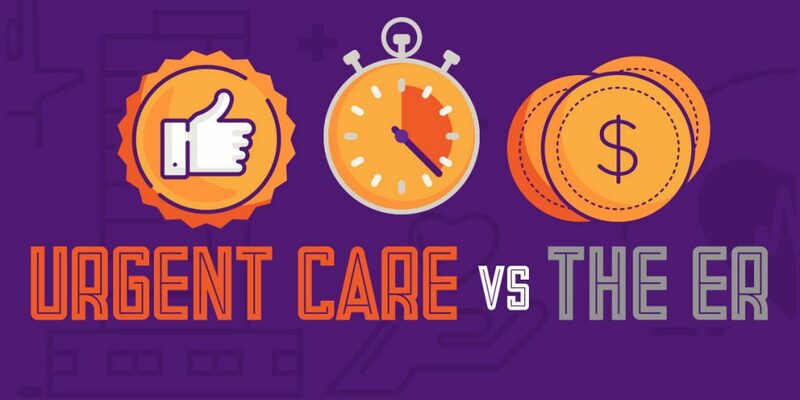 By having information tools on hand like the “Urgent Care vs. the ER: What You Need to Know” infographic, you’ll be ready to make the best decision for your immediate medical treatment needs. For more information on FastMed Urgent Care or to find a clinic near you, click here.